"Style, efficiency, and organization all in one package! We worked with Kelsey from Farmer’s Daughter Interiors on our latest show home in Swift Current at a townhome project called Brighton Terrace. The end result was a beautiful and inspiring show home for our Swift Current clients. Not only was she on top of the style trends, but she also tailored the look and feel perfectly for our target market. We challenged her to work with furniture and décor we already had in our inventory and supplement with more modern pieces that she purchased, which she pulled off perfectly and we were able to save on budget. To top it all off she was extremely efficient and organized throughout the entire process. She constantly impressed me with her detailed manner and how she kept me informed throughout the entire process. Proactive communication was important to me as I am in Saskatoon and relied on her to be my eyes and ears on the ground in Swift Current. I would highly recommend Farmer’s Daughter Interiors to anyone who is looking for not only a wonderful end result, but also a very enjoyable process with someone who is organized, has a great eye for style , and is extremely kind. We look forward to working with Kelsey in the future!" 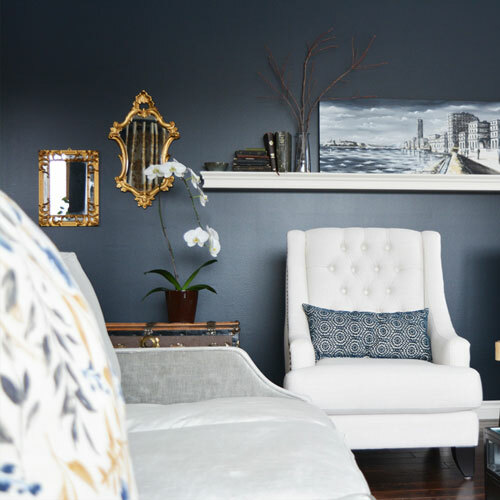 "I really appreciate Kelsey's attention to detail and ability to visualize how to make a room come together. She is able to think outside the box when it comes to design and the result is awesome. She is timely, organized and very professional. I would highly recommend Farmer's Daughter Interiors + Design." "Kelsey is extremely talented, efficient, and so easy to work with. We feel very fortunate to have such a talented young woman in Southwest Saskatchewan. Not only is she talented but such a kind, hard-working woman as well. So, thank you Kelsey for all of your hard work and patience with us. We are so excited about our new room and don't know what we would have done without you!" "I was very happy with our time together. Kelsey asked for pictures prior to our appointments so she could be more prepared and arrived with tile, laminate and quartz samples, it was great! And it made purchasing so easy...I knew exactly what I needed before going to the prospective stores. I would recommend Farmer's Daughter Interiors to anyone!" "We have enjoyed Kelsey's fine taste, mindful manner in how she works with not only her colleagues but more importantly her clients. Kelsey's ability to stay educated allows her to guide people through their projects with an impressive result. We strongly recommend her services if you need help cultivating your tastes to a look that reflects your unique style." "Thanks, Kelsey, for coming into our home. Our home is newer, so not in need of major renovations, it just needed some personalization. Kelsey helped me pick paint colours, we discussed furniture layouts, we talked about ways to make our home cozy...ultimately she is helping me bring my Pinterest board to life. I really appreciate the tips and design information I would have never considered or thought of." "Awesome tips on arranging furniture and purchasing furniture!!! Very helpful and took lots of time with me. I was very impressed and recommend this lady to everyone. You won't be disappointed if you need help with a reno or decorating." "Kelsey met us at our house to give us some ideas for our bathroom renovation. She quickly had some ideas of things that would work, taking into account the current fixtures, flooring etc. that weren't going to be changed. Her ideas included changing things that needed changing, but leaving what could be left, thus keeping costs down. Her ideas were up to date and contemporary. The bathroom consult only took a half hour, and since Kelsey charges by the hour for the consult, she asked if there was anything else she could help us with while she was there. We were very impressed with how conscious she was to make sure we got full advantage of her service. We are so glad we enlisted Kelsey's expertise as it meant we could carry on with our project knowing the design is something that will work really well and look great when it's finished." "My husband and I booked an in-studio consult with Kelsey regarding a kitchen upgrade we are planning. We provided pictures of our home, style ideas, questions and a budget ahead of time. With a kitchen cupboard and blueprints in hand we arrived for our 90 minute consult. From the moment we walked in Kelsey greeted us with the relaxed feeling of visiting a friend. So rural small town Saskatchewan like... and we loved it. The professionalism and the creativity were just what we were looking for but more importantly what we needed. The sense of overwhelm that accompanies making all the choices and options was relieved. In that short time we were able to basically “design” our kitchen upgrade with two solid #1 and #2 choices within our modest budget constraints. We left with the information to let us seek quotes confidently and knowing that the choices really “connect and marry the existing features to the new choices”. As Kelsey said “change should always look like it is intentional'. Smart lady. We thoroughly enjoyed our experience. Highly recommend utilizing Kelsey’s expertise. It is like a weight is lifted off and no surprises. And who doesn’t want less stress and more enjoying the experience in our lives. Even hubby is enthused. Now doesn’t that say it all ladies!!!" HAVE AN UPCOMING PROJECT OR IDEA? We'd Love to hear about it!